The wing was named after John Boalt, who was a catalyst in California for passage of an 1882 law that sought to end Chinese immigrants. The dean of the Berkeley School of Law on Tuesday said he would recommend de-naming a wing of the school's building that honors a lawyer who held anti-Chinese views. The wing, known as Boalt Hall, was named after John Boalt, a Nevada lawyer whose wife, Elizabeth Josselyn Boalt, donated $100,000 to build Boalt Memorial Hall of Law in 1911. Knowledge of Boalt's views became more widely known after The San Francisco Chronicle last year published an opinion article by Charles Reichmann, an attorney and lecturer at Berkeley Law, who argued that that wing of the building should be renamed because of Boalt's anti-Chinese racism. Reichmann, who also wrote about the issue in an article published in the Asian American Law Journal published at Berkeley Law, noted that Boalt advocated for the end of Chinese immigration, referring to a paper Boalt read at the Berkeley Club in 1877 titled “The Chinese Question,” which was influential in building support in California for the Chinese Exclusion Act of 1882. In response to Boalt's views being brought to light, Berkeley Law Dean Erwin Chemerinsky created a committee to research the issue in September 2017. The committee received comments from more than 2,000 individuals — nearly half in favor of eliminating the use of the name Boalt — and held a town hall earlier this year before issuing recommendations that Chemerinsky released in September. Chemerinsky received more than 600 messages in response to the committee's report, he noted in a public letter on the school’s website. About 60 percent were in favor of dropping the name. In the public letter, Chemerinsky wrote that he changed his mind on the issue several times. Chemerinsky also encouraged organizations within the law school to stop using the name. Lecturer positions named for the Boalts will also be renamed after recent deans. The law school will next submit a formal request to de-name Boalt Hall. 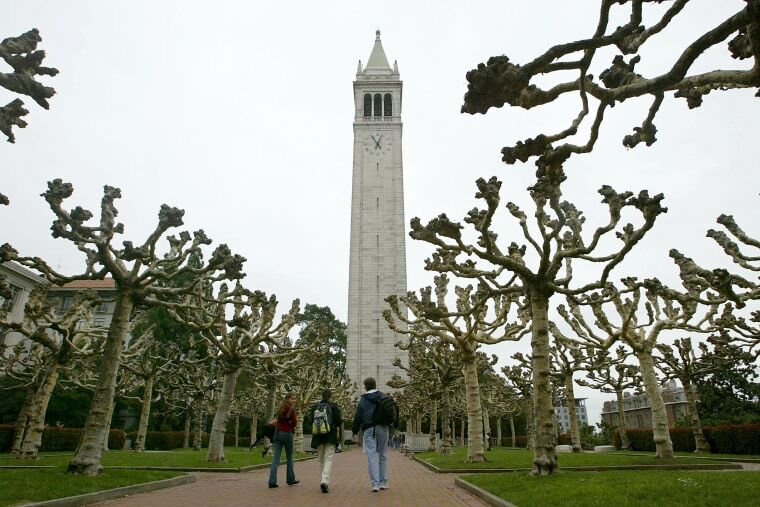 The decision to drop the name is ultimately up to UC Berkeley's chancellor. Charles Cannon, senior assistant dean and chief administrative officer at Berkeley Law, said he expects it would take until summer 2019 before the chancellor makes a decision. Reichmann in an email said he was happy with Chemerinsky's decision.